Seven weeks ago I set out on another ride on the weightloss rollercoaster. I know I know.....it seems like we have been down this road before. Because we have...I have been on this rollercoaster since I was approximately 12 years old...and being that I am now 34...it is a ride I am pretty tired of being on. Alas..we are here again. My 3rd baby will be turning two in May...I stopped nursing in August...and it was just time. 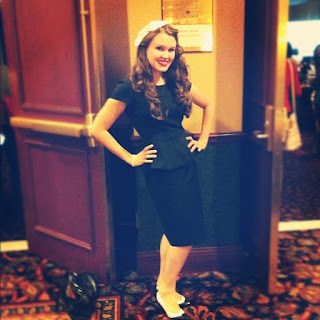 I went to the Allume bloggers conference (speaking of...I bought my ticket for 2013 conference last night!) back in October and met the founders...Sarah Mae & Jessica Heights. I befriended them both on facebook...not just fan page followed...but personal page follow....made connections at the conference due to my heading up the newbie group for the 2012 conference. Somewhere along the road after Allume I saw Jessica talking about her new ebook called "100 Pound Loser"
...I was like what? Why would SHE be writing about weight loss. When I met her I was all...look at her...beautiful...long flowing hair...cute clothes...red lipstick...successful blogger...leader of a large community of christian women...yep...she is perfect. Come to find out she IS human! Only...she is now HALF the human she once was! 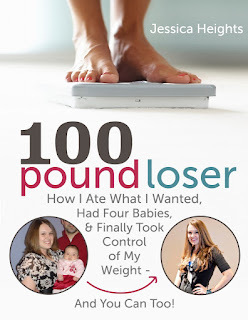 She managed to lose 100 pounds AND she is a wife and the mother of 4 young children! Even after I found this out I really wasn't in the weight loss book shopping mood. I have quite a small fortune invested in weight loss plans, books, clubs, athletic facilities, clothing, accessories...you name it...I have tried it. Late at night on a school night..hours after my oldest (14) had gone to bed...he comes out of his room. I was ready to scold him and tell him to get right to bed..but then he sat down...with a serious way about him. I was not prepared for what he was about to ask me. He said "Mom, will you start working out? I will be your coach, I can come up with a workout plan for you and I can help you lose weight. I think you need to get healthy. I saw a show on tv about obesity and diabetes and I am afraid you are going to die if you don't get healthy"
choke, gasp, shock...um...why couldn't he have just been getting up for a glass of water. I listened to him...I responded that I heard his concerns...I told him I would think about it and let him know. I told him I didn't want to promise him anything because I didn't want to disappoint him. He went back to bed. He apologized and said he didn't mean to hurt me if he had. I was broken. I didn't want to share this conversation with anyone....not even my husband. I am not sure what led me to do it...but I sent a private message to Jessica sharing with her what had just happened. I told her I really didn't know why I was telling her...and that I really didn't want anything but prayer. She humbly responded and obliged gracefully. About a week later I received a message from Jessica. 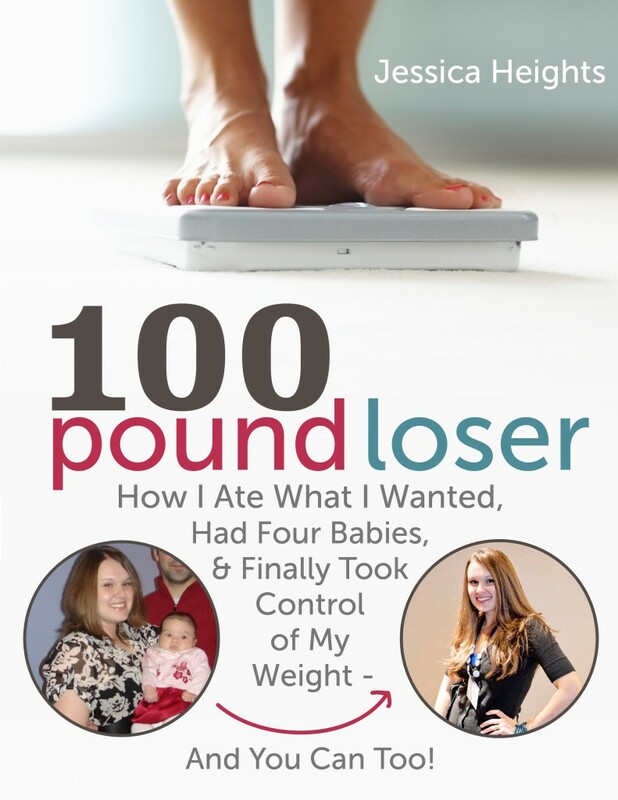 Since her eBook had launched there were several people asking to start a support group for those who were wanting to get serious and start losing. She asked me if I would consider facilitating this group through Facebook. Jessica is already at her goal weight...and she thought it would be best to have someone who is going through the process of losing to head up the group. I gulped....and said Sure! This gave me the push I needed. First step was reading her eBook. It was a simple 30+ page read. It didn't offer some miracle healthy plan fad diet. It offered practical advice from her own experience. It offered encouragement from her own experience. Bible scriptures to help you understand how God sees us, and how he has asked us to care for these temporary bodies he has given to us. Scriptures and inspirational quotes. It was perfect. It was practical and doable. So the group started. It is a private group so that us women have the opportunity to talk freely about our struggles and successes without worry of other people watching. We currently have 67 members. On Fridays we have what we call Freedom Friday. 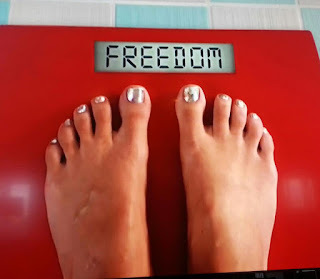 We do a weigh in...but we post more than just our numbers. There are 4 questions we answer about ourselves each week. #1: Our weight-loss #2: How things have been spiritually for us for the week #3 How our exercise was #4 What goals we have for our new week. Sure...seeing the numbers is motivating if the numbers are going the right direction...but there is so much more to this journey than numbers. Peeling back the emotional layers together is such great support! 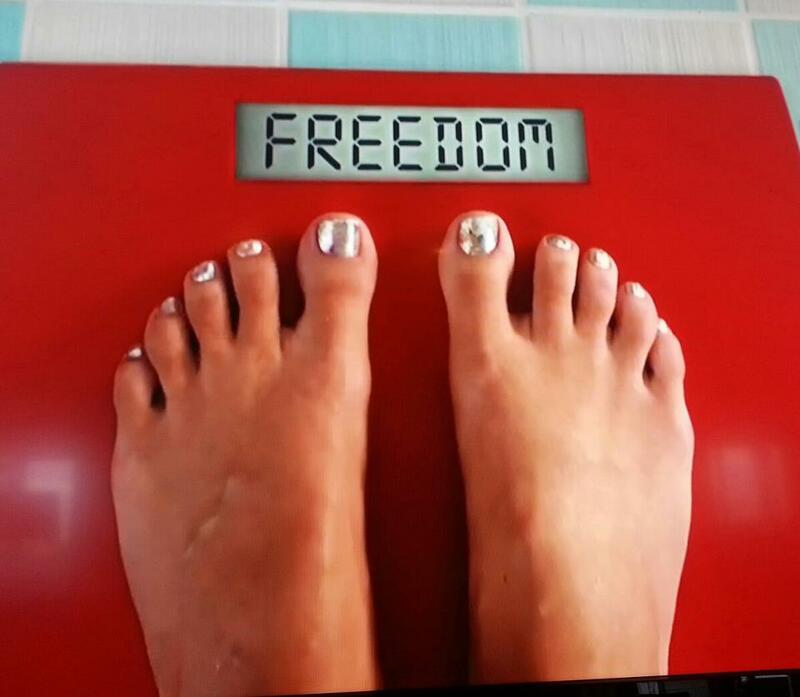 Today is our 7th week weigh in. As of our 6th week we have lost 221.2 pounds cumulatively!! That is just 2 pounds away from where I am at! Since starting the group I am now down 17.2 pounds. I started at 240.8 and am down to 223.4. "I wrote this because I'm just like you...I’ve been where you are: feeling tired, sluggish, and out of shape. Wanting to make positive changes for your health, but overwhelmed by the enormity of it, with hands full of children and all the beautiful business of life. I wrote this because I’ve done it. I’ve gained the weight, lost the weight, and kept it off. . .four babies (each a little over one year apart) later. I want to encourage you to take the steps toward taking care of your body. I want to cheer for you as you reclaim your health. If you’re married, I want you to wink at your husband, and giggle with confidence when he comes after you, without trying to hide. I want you to know you’re not alone—and that no matter what, whatever the mirror or the scale says, you are not just your body; you’re an amazing creature, fearsome to behold." You can purchase the book through Amazon here. It only cost's $4.99! You will spend more on that going through the drive through! I requested to join the group. I, too, have been on a the weight roller coaster since I was 13 (and I'm now 29). I, too, have tried many different approaches, and spent a small fortune on things that are supposed to help me lose weight. I actually purchased this book when it came out, but I haven't actually read it yet! I will do so this weekend. I'm recommitting yet again. I am so glad to have you in the group! I hope you enjoy the book! Kudos on the word dodo - I haven't heard it in ages and definitely think it needs to be used more often! The group sounds amazing! Is there space in a group to join??? You're AMAZING. :-) has anyone told you that lately? actually...I can't remember the last time someone has told me that. :) thanks for the confidence boost! You are pretty awesome as well....and we really need to meet in person!!! !